Parishioners today look to their congregations to feed their spiritual hunger. But many members and clergy are not sure how the words "congregation" and "spirituality" fit together. Author Celia Hahn interviewed 30 lay people and clergy from five Episcopal congregations to discover their stories of congregational spirituality and to help them identify the congregation's gifts for spiritual development. Hahn becomes a spiritual companion and resource for the searching congregation, guiding the church as it begins to discover its gifts. How is God at work in our congregation? How do members empowered by the transforming Spirit minister in their workplaces, neighborhoods, and families? How do members move into a deeper relationship with one another and with God? 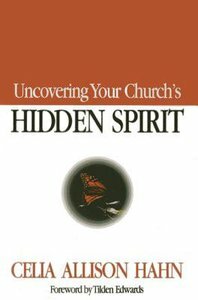 About "Uncovering Your Church's Hidden Spirit"